Vocal Rasta means the road of the voices. 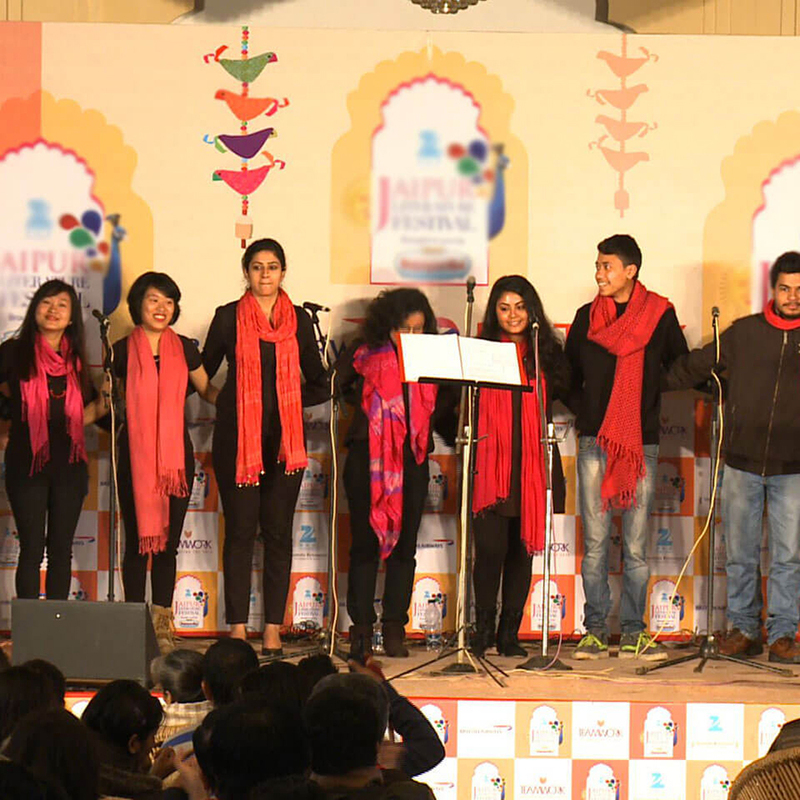 Ten to fifteen singers, without instruments, from New Delhi, conducted by Antoine Redon. More than listening to their music, they invite you to melt, dissolve, and heal yourselves through their voices and songs, to transform your perception of reality. With songs from African and Gypsy lands they will guide you to Freedom. They have performed around 30 shows including Zee Jaipur Literature Festival, Sounds of Freedom Music Festival, Contemporary Arts Week, the closing of Mahindra Excellence in Theatre Awards and the Indo-Africa Summit at Rastrapati Bhawan.